I like the Secret Garden bundles - the blues are so lovely. 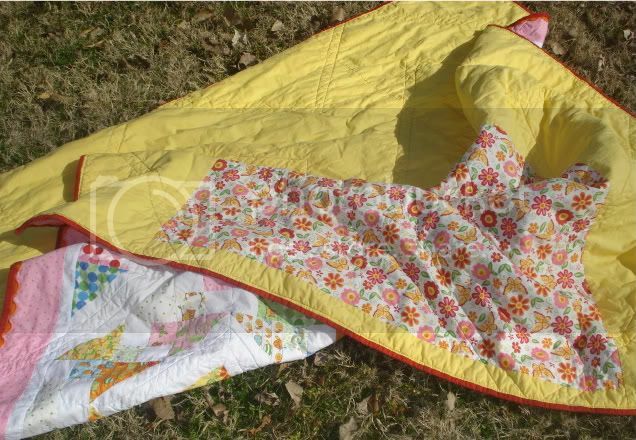 Sweet and simple quilt today from Kate of Katie Mae Quilts, a quilt that she made from a QAL. I love the colors, so sweet, perfect for a girly :) Kate is a mom, wife to a military man and has two cats, as she describes one annoying and one fat! :) She's got a great list of her finishes and soon to be finishes...see her Tops Waiting to be Quilted, Finishes 2008-10, Finishes 2011 and Finishes 2012 for some great eye candy! I don't have a song title name for it yet, but I'm taking suggestions. It was started over the summer (with the actual quilt along) but obviously wasn't a priority until I made it one. It's 70x70", made with Deb Strain's Love U and white Kona. The wind didn't think I should take a flat picture of the back. It's lemon Kona and that random yard of Love U. And now it's off to my niece, who instantly declared anything pink and butterflies as hers. Always fun to see my buddies win/featured. 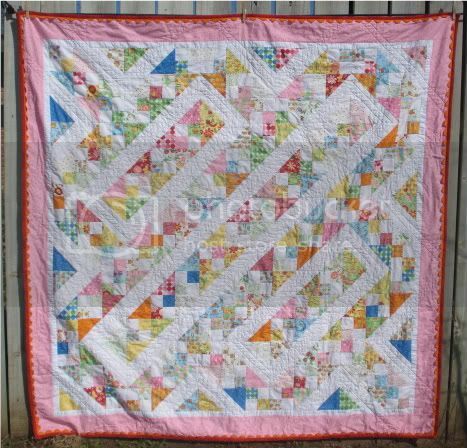 Love quilt! 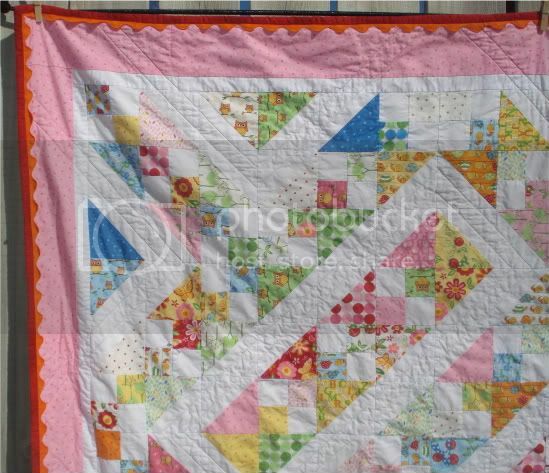 I love the straight line quilting in rectangles~! Wow, thank you so much - I love Katies quilt too. love the ric-rac detail and the yellow back! Lemon Tree very pretty, and the lemon flowers are sweet! 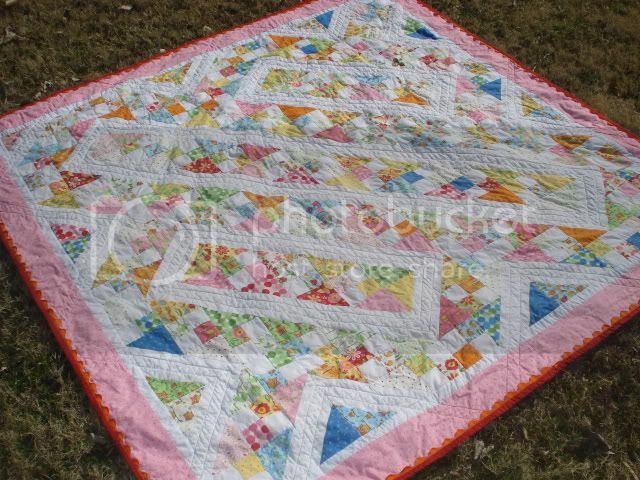 LOL, very pretty quilt! I love the rick rack binding! I'll have to try that!